Announcing the addition of NBA G League forward Will Davis II (Reno Bighorns), USA Basketball confirmed today that 17 NBA, NBA G League and international experienced players will participate in the USA Basketball Men’s AmeriCup Team training camp that opens Aug. 17. The training camp, which will be used to select the national team that will represent the United States at the FIBA AmeriCup 2017, will be held will be Aug. 17-24 at the University of Houston. 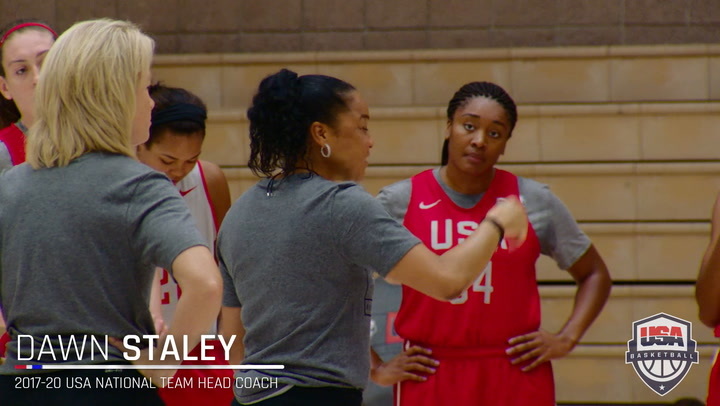 The official, 12-member USA team is expected to be announced prior to the team’s Aug. 24 departure. The USA AmeriCup Team, after also training Aug. 25-27 in Montevideo, Uruguay, will participate in the AmeriCup Group C preliminary round games Aug. 28-30 in Montevideo, Uruguay. 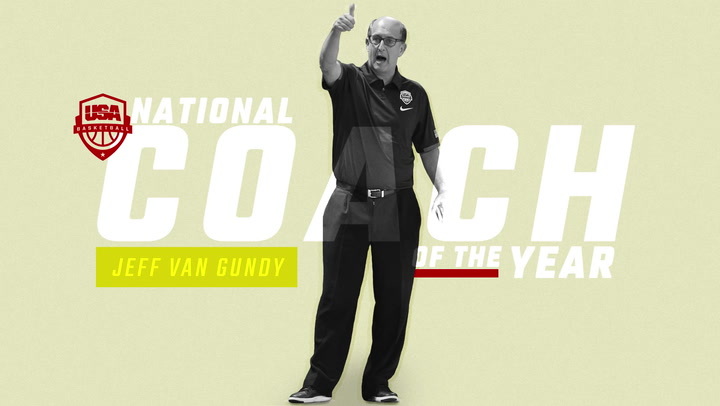 Former NBA head coach Jeff Van Gundy is serving as head coach of the USA Basketball Men’s AmeriCup Team, while current NBA G League Northern Arizona Suns head mentor Ty Ellis and veteran international coach Mo McHone are assistant coaches. The 17 players expected for the USA AmeriCup training camp include: Billy Baron (UCAM Murcia (Spain); Rod Benson (Wonju Dongbu Promy, South Korea); Alec Brown (Windy City Bulls); Davis; Larry Drew II (Sioux Falls Skyforce); Reggie Hearn (Reno Bighorns); Darrun Hilliard (Detroit Pistons); Jonathan Holmes (Canton Charge); Ra’Shad James (Cedevita Zagreb, Croatia); Kendall Marshall (Reno Bighorns); Darius Morris (Rio Grande Valley Vipers); Xavier Munford (Greensboro Swarm); Marshall Plumlee (New York Knicks); Jameel Warney (Texas Legends); C.J. Williams (Texas Legends); Reggie Williams (Oklahoma City Blue); and Derek Willis (University of Kentucky). Seven of the players expected at training camp - Drew (12 games), Hilliard (77 games), Marshall (160 games), Morris (132 games), Munford (14 games), Plumlee (21 games) and Reggie Williams (206 games) - boast of NBA regular season experience. Of the 17 invitees, 15 have playing experience in the NBA G League, including: Benson, Brown, Davis, Drew, Hearn, Hilliard, Holmes, James, Marshall, Morris, Munford, Plumlee, Warney, C.J. Williams and Reggie Williams. Ten of the players - Baron, Benson, Brown, Davis, Drew, Holmes, James, Munford, C.J. Williams and Reggie Williams - have played professionally overseas. Willis is the lone player who played collegiately in 2016-17. The USA training camp will open on Aug. 17 with an evening session from 5-7:30 p.m. (CDT). On Aug. 18, 20 and 22, the team is scheduled to train twice a day, 10 a.m.-12:30 p.m. (CDT) and 6:15-7:45 p.m. (CDT). On Aug. 19, 21 and 23 the USA squad will train from 11 a.m.-2 p.m. (CDT), and the Americans will conclude their domestic training on Aug. 24 with a 10 a.m. -1 p.m. (CDT) session. All of the USA’s training will take place at the University of Houston’s Guy V. Lewis Development Facility (3480 Cullen Boulevard, Houston, TX 77204). The United States will open its AmeriCup Group C preliminary play on Aug. 28 facing Panama (10 a.m. EDT), then meet host Uruguay on Aug. 29 (12:30 p.m. EDT) and conclude preliminary play on Aug. 30 against Dominican Republic (10 a.m. EDT). Argentina, as host, and the top finishing teams from Group A, Group B and Group C will advance to Córdoba, Argentina, to play in the Sept. 2 semifinals and the bronze and gold medal games on Sept. 3 (the full FIBA AmeriCup 2017 schedule is available to view at (usab.com/mens/americup/schedule.aspx). The FIBA AmeriCup 2017, considered the FIBA Americas zone championship, will feature 12 nations from North America, Central America, the Caribbean and South America. In addition to the USA, Uruguay, Dominican Republic and Panama in Group C, Group A will play Aug. 25-27 in Medellín, Colombia, and includes the host country Colombia, as well as Brazil, Mexico and Puerto Rico; while Group B will compete Aug. 27-29 in Bahía Blanca, Argentina, and will consist of host country Argentina, as well as Canada, U.S. Virgin Islands and Venezuela. A USA men’s national team last participated in the FIBA Americas Championship in 2007, when the U.S. rumbled over its opposition in Las Vegas and finished 10-0 to win gold and capture one of the FIBA Americas zone's two qualifying berths for the 2008 Beijing Olympics. 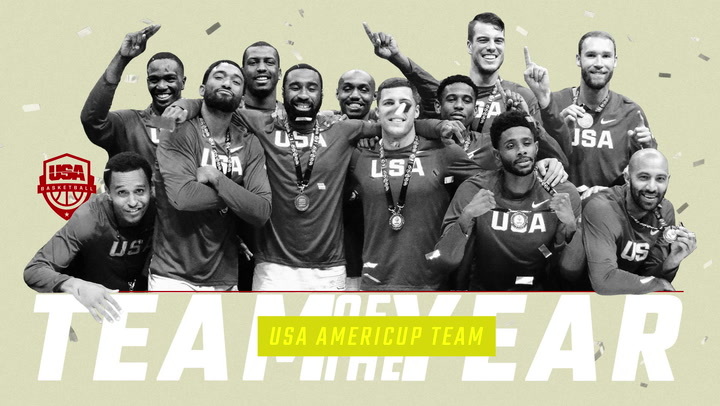 Overall, USA Basketball officially has fielded teams in eight FIBA Americas Championships, winning six gold (2007, 2003, 1999, 1997, 1993 and 1992) and one silver medal (1989), while compiling a 60-10 win-loss record. 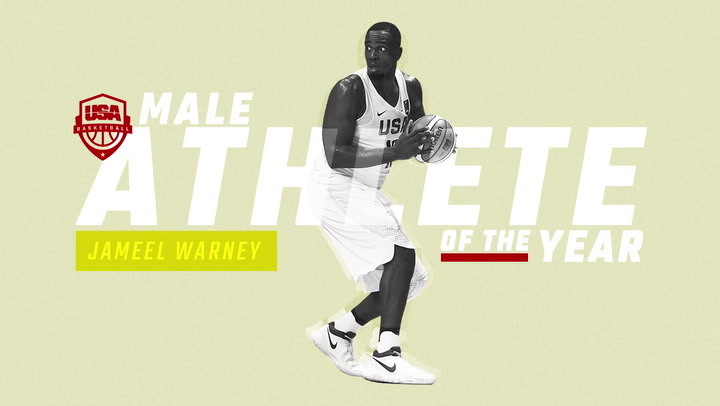 In recognition of his MVP performance while helping lead USA Basketball to a gold medal at the FIBA AmeriCup 2017 and to two FIBA World Cup Qualifying wins in November, Jameel Warney was named the USA Basketball Male Athlete of the Year.